Founder and all-women editorial board of Vatican's 'Women Church World' monthly quit, allege campaign to discredit them. 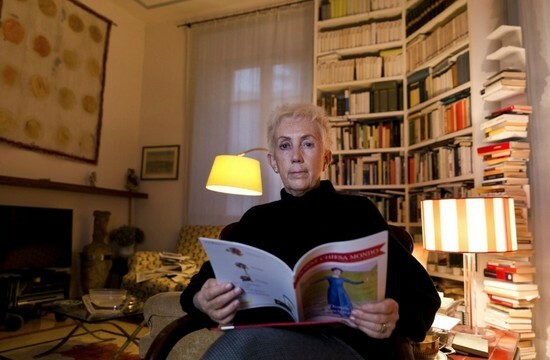 The founder and all-women editorial board of the Vatican's women's magazine have tendered their resignation over what they allege was a Vatican campaign to discredit them and put them "under the direct control of men." The editorial committee of "Women Church World," made the announcement in a planned April 1 editorial and in an open letter to Pope Francis. "Women Church World" is a monthly published alongside the Vatican newspaper L'Osservatore Romano. The paper's editor, Andrea Monda, has rejected the allegations. "We are throwing in the towel because we feel surrounded by a climate of distrust and progressive de-legitimization," founder Lucetta Scaraffia wrote in the editorial, which went to the printers last week but hasn't been published, the Associated Press reported early on March 26. The decision was taken after Monda, who became editor of the Vatican daily last December, told Scaraffia he would take over as editor of the women's magazine. Scaraffia told AP that he reconsidered after the editorial board threatened to resign and the Catholic weeklies that distribute translations of "Women Church World" in France, Spain and Latin America, told her they would stop distributing. "After the attempts to put us under control, came the indirect attempts to delegitimze us," she said, citing how other women were brought in to write for L'Osservatore Romano "with an editorial line opposed to ours." Monda rejected those claims in a statement later released by the Holy See Press Office later on March 26. He said he was committed to strengthening the magazine and promised to keep publishing it without the influence of "clericalism of any sort". A number of female Vatican employees who are pushing for women's rights and dignity the told La Croix International that Scaraffia was difficult to work with. A history professor and journalist, she launched the glossy monthly insert in 2012 and oversaw its growth into a stand-alone Vatican magazine as a voice for women, by women and about issues of interest to the entire Catholic Church. "Women Church World" had enjoyed editorial independence from L'Osservatore Romano, even while being published under its auspices. Monda claimed in his notification that it still does. Last year the "Women Church World" magazine under her leadership highlighted how nuns cook and clean for senior Catholic clergy and work as indentured servants and said that the male hierarchy should stop such widespread exploitation.